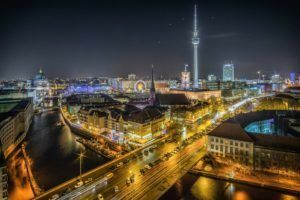 Germany restarted the application process to grow medical cannabis in the country, but the amount it is calling for remains well short of anticipated demand in the coming years. That means Germany will require significant imports from places like Canada and the Netherlands to meet domestic demand – even after domestic licensees reach full production. Germany is on track to become one of the world’s largest medical marijuana markets as insured patient numbers soar, MMJ imports rise and the country prepares for domestic cultivation. In March, a German court slammed the brakes on plans to grant contracts to cultivate medical marijuana after a plaintiff successfully sued the government over the process. Up for grabs are 13 contracts, or ” lots,” and a single company can get up to five contracts. Each lot calls for 200 kilograms to start, but bidders will be allowed to increase that by up to 30% per year. Still, that’s not even close to the amount of medical marijuana the country needs today. Since September, for example, companies from Canada and the Netherlands applied to the Federal Institute for Drugs and Medical Devices (BfArM) to ship roughly 21,000 kilograms of medical cannabis to Germany. The deadline is Oct. 22. The short timeline could hand a major advantage to applicants who participated in the defunct first process, because they may already have most of the paperwork and key personnel ready to go. Deepak Anand, vice president for the Cannabis Compliance, a consultancy that is assisting companies in applying for the tender, says experience cultivating medical cannabis is necessary in the new bid, just as it was in the previous one. Applicants need to prove that between Jan. 1, 2015, and Oct. 22, 2018, they grew, processed and delivered medical cannabis flower with a minimum THC content of more than 1%. The quantities delivered during that time must be over 50 kilograms, and the deliveries must have been in or to a country with a medical cannabis framework in place and in compliance with the United Nations’ Single Convention on Narcotic Drugs, particularly Article 23. “Security requirements remain extremely stringent, including the necessity to build a ‘bunker’ for all those areas of the facility, where plant material is kept – floors, walls, ceilings, 24-centimeter reinforced steel concrete, including shock sensors,” Anand wrote in a note to clients. He also said the highest pharmaceutical production standards will be applicable, including cultivation under Good Agricultural and Collection Practices (GACP) and processing under Good Manufacturing Practice (GMP). Winning applicants will be announced in January with first deliveries slated for mid-2020.